These guides reflect the commitment of UHY member firms to providing outstanding real estate advice and offers the possibility for clients and members to connect directly with property experts in each country, identified in the guide. Given the scope and complexity of each individual country’s laws and regulations, this publication should be viewed as a tool by which readers may first become familiar with the issues involved. 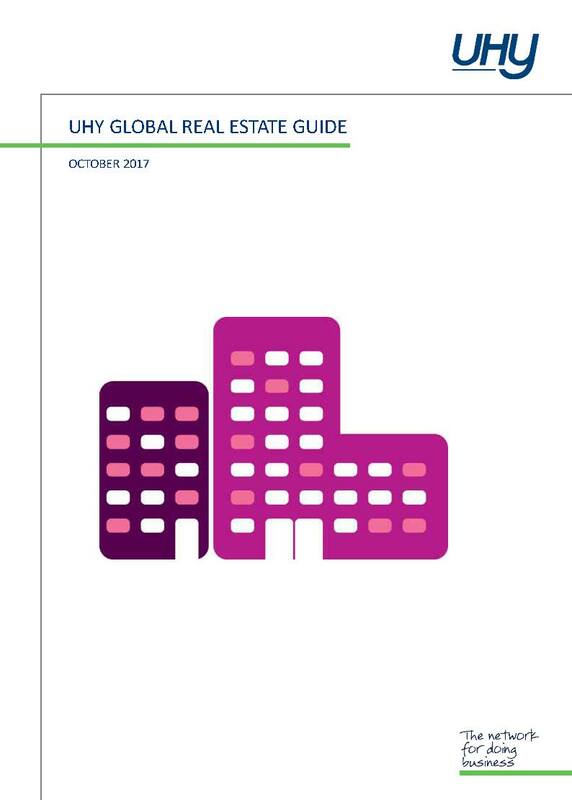 This guide reflects the commitment of UHY member firms to providing outstanding real estate advice and offers the possibility to connect directly with experts in each country, identified in the guide.